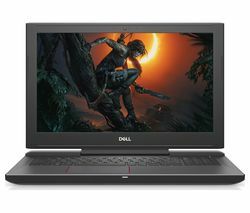 A leading name in computing, Dell has expanded its laptop range to include business, 2-in-1 and gaming laptops as well as notebooks. Dell laptops boast serious processor power, touchscreen versatility, excellent battery life whether you’re looking for an entry-level laptop or a more powerful model for work or play. 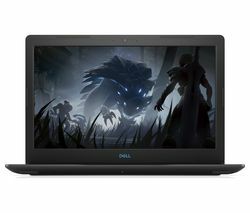 The Dell laptop range includes several key models, including Latitude and Vostro for business, Inspiron, XPS and Alienware. You can shop the Dell laptop range by features like storage, weight, touchscreen or processor power to find the device that suits your needs more easily. Dell Inspiron laptops are great all-rounders, designed for home and home office. These affordable laptops and 2-in-1s offer versatile everyday computing. Their 2-in-1 tablet-and-laptop design gives you the best of both worlds: laptop performance with tablet mobility. Choose from 13” to 17” screen sizes, with up to 6th Gen Intel® Core™ processors, robust storage and HD displays. The Inspiron range’s stunning graphics and touchscreen capabilities make it endlessly versatile. You can switch between laptop, tent, tablet or stand modes to suit the task at hand and stay charged on the go with up to 6 hours of battery life. Dell XPS laptops are designed to be the best. This high-end range of incredibly sleek and thin laptops is available in 13” or 15”. Offering Dell’s highest resolution displays and exceptional build quality, they are gracefully thin but seriously robust. Slimmer thanks to their innovative fan-less design, the chassis of each XPS is carved from a single block of aluminium for durability. The palm rest is made of carbon fibre, used in aviation and high-performance cars, to add strength and keep it cool to the touch. XPS laptops boast stunning high-resolution displays of up to UltraSharp 4K Ultra HD with IPS wide viewing angles. With an InfinityEdge display that's virtually borderless, your screen space is maximised, while Gorilla Glass offers 10x the scratch resistance of traditional screens. If gaming and multimedia is your thing, upgrade to a more powerful Dell laptop that features Windows 10 Home, 8th generation Intel® Core™ i7 processor, NVIDIA® GeForce® 1060 graphics, and dual drive for blazing performance and large storage capacity. For a wider selection of portable computing options, take a look at our full range of HP laptops and check out our Apple laptops.